These terms are only applicable in regard to the processing of personal data and cookies. Personal data comprises solely information that relates to an identifiable natural person. (1) Within the Support Form we ask for your name, your email address and your GRAFIS Customer No. (Support Data). (2) We process the Support Data to respond to your inquiry. If you are already customer of GRAFIS Software, we will align the stated email address with our recorded data. As the case may be we’ll update our data. (3) For the purpose of quality management we store and process your inquiry and the corresponding Support Data for a period lasting two years after the end of the year, in which you have submitted your inquiry. (4) If your inquiry concerns the price of GRAFIS CAD in countries except Germany, we’ll forward your inquiry to our responsible distribution partner. You can find our distribution partners using the menu Contact->Distribution Partners. (5) You agree to the processing of your Support Data according to sections (3) and (4) if you click on the green button „Submit inquiry“ after you have enabled the corresponding checkbox. (6) The legal basis for the processing is Art. 6 (1) b) General Data Protection Regulation and in regard to the consent Art. 6 (1) a ) General Data Protection Regulation. Within the Training Form we ask for your Contact Data (name, address, telephone number and email address and possibly GRAFIS Customer No.). We process your contact data to make you an offer for your requested training and as the case may be to make an appointment with you. If no training contract is concluded, we’ll erase your Contact Data except your name and address. 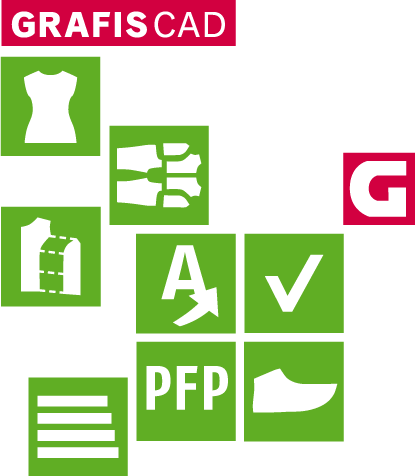 In this case we’ll process your name and address for a period lasting two years after the end of the year, in which you have submitted the form, to send you product information regarding GRAFIS CAD and corresponding training. The legal basis for the processing is Art. 6 (1) b) General Data Protection Regulation and in regard to the delivery of product information Art. 6 (1) f) General Data Protection Regulation. You can decide yourself weather and to which extent you accept Cookies by using your browser settings. It is also possible to remove Cookies already stored on your computer with the help of your browser. If you use Firefox select the Options menu and choose Privacy & Security for the Cookie settings.